Having a great wash day will have you dancing around your house and pretending like you are a rockstar. This wash day was one of those days. For the first time in three weeks my hair looked and feel like it should, yes I'm fourteen weeks post relaxer but my hair behaved and felt great. This wash day I only used my favorite product and I believed it made a world of difference, so here is my wash day recap. Prepoo- Detangled with my detangling oil mix. This mix has coconut, avocado, olive, jojoba, and vitamin E oil and a few drops of peppermint and tea tree oil. Before prepooing with Cantu shea butter leave-in repair cream and Loreal total repair 5 conditioner under my conditioning cap for 45 minutes. After allowing my hair to cool I rinsed with warm water. It felt so soft and silky I want to stop at the point to ensure the good feeling last, but I have to shampoo or else my scalp rebels. Shampoo- Shampooed with my favorite shampoo; as usual I only lather once and paid attention to my scalp to ensure that I have an itch free week. I was very excited that my hair still felt silky after rinsing with warm water. Let the good time roll! 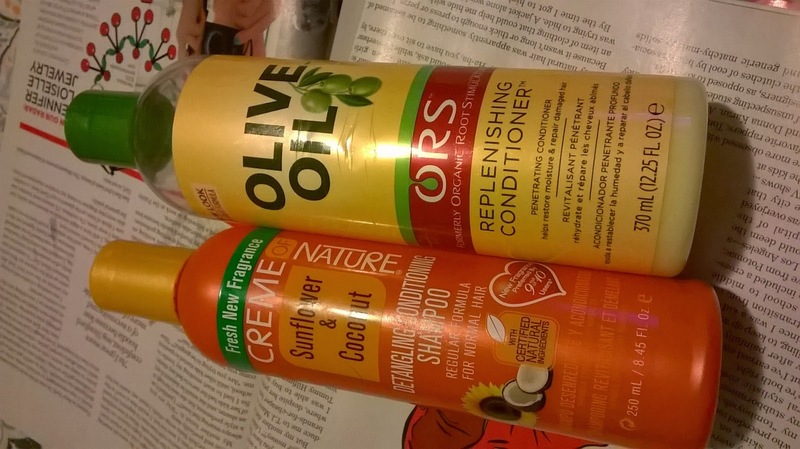 Deep Conditioner- Coat my hair with my conditioning oil mix before applied a generous amount of ORS replenishing conditioner and sat under my conditioning cap for 45 minutes. My conditioning oil mix contains coconut oil, grapeseed oil and avocado oil. After allowing my hair to cool I rinsed with warm water followed my cool water to close the cuticles. Leave-in conditioner and moisturizer- T-shirt dry for ten minutes, then air dry for another ten minutes, once my hair was about 90 percent dry i applied my leave in and moisturizer and roller set. 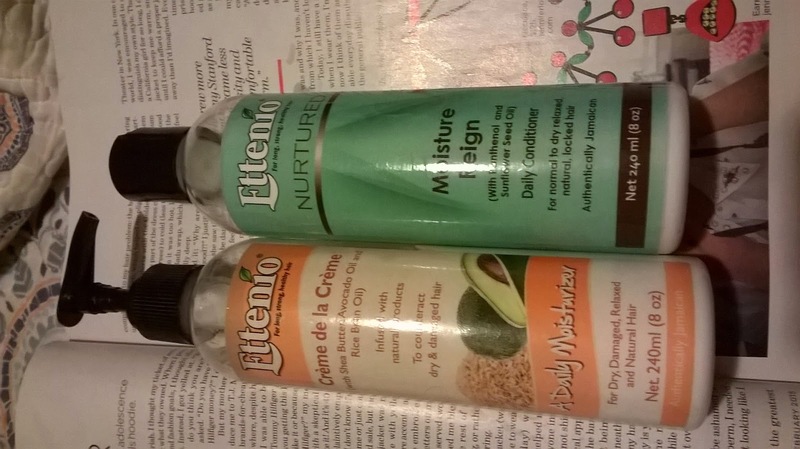 My leave of choice was Ettenio moisture reign and the moisturizer was Ettenio creme de la creme. I'm running low on my Ettenio stock so I'll be replenishing soon. In the morning after removing the rollers I applied a few pumps of ORS coconut milk antibreakage serum and put my hair in to plaits and donned my wig. I was partying like a Rockstar at this point and was overjoyed that my hair is back to normal and looking and feeling soft and silky. Hope you had a Rockstar kind of wash day. Congrats on the rockstar #washdayexperience chica! Do you find that your hair is more moisturized now that you started wigging it? Yes, I do because the last month of a four month stretch can have you questioning your sanity. Yay to a wonderful wash day! Keep up the good work!